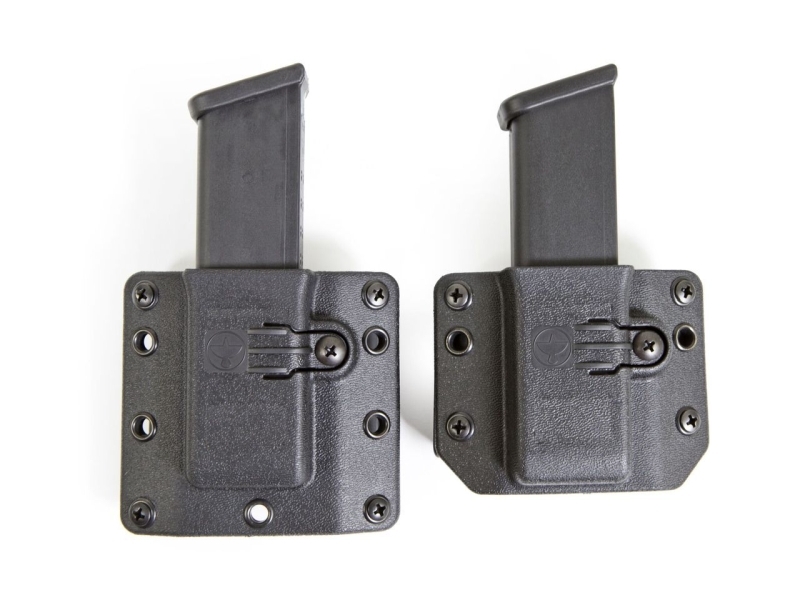 RCS finally released the magazine pouch that works for many guns chambered for 9mm, .40 S&W and .357 SIG. It utilizes a unique retention system that allows users to insert magazine forward and backward, making ambidextrous carry possible. Comes in two length, short and tall, and you can attach the pouch with others.